The loss of a child is the most devastating experience a parent can face. Should you lose a child, our family service counselors will work with you to ensure your child’s final resting place is a space where you can find peace and remember your loved one. Our children’s sections contain butterfly gardens, special memorials and walking paths. 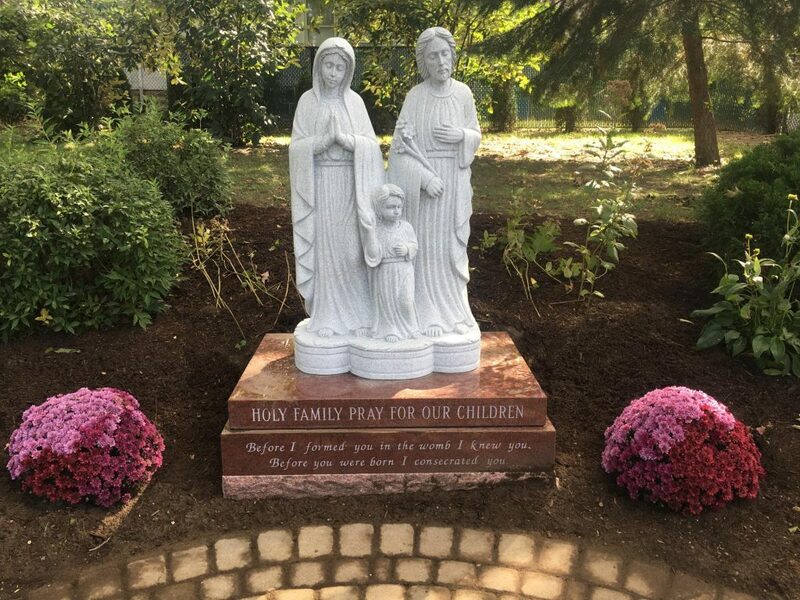 Our new Holy Family Memorial in our Christ Child section at Holy Sepulchre Cemetery remembers children who have been lost due to miscarriage or infant loss. A special burial section located next to the memorial is available for families suffering such a loss. Families may also chose to remember their child by purchasing a memorial paver for a minimal fee. Pavers are placed in the pathways in our Christ Child section, and help to provide a lasting remembrance.